Fully Serviced, Modern Apartments in Jesmond, Newcastle. Jesmond Executive Villas offer our guests spacious, quiet apartments at affordable rates. We have a range of apartments available to suit individuals, couples, families and groups. 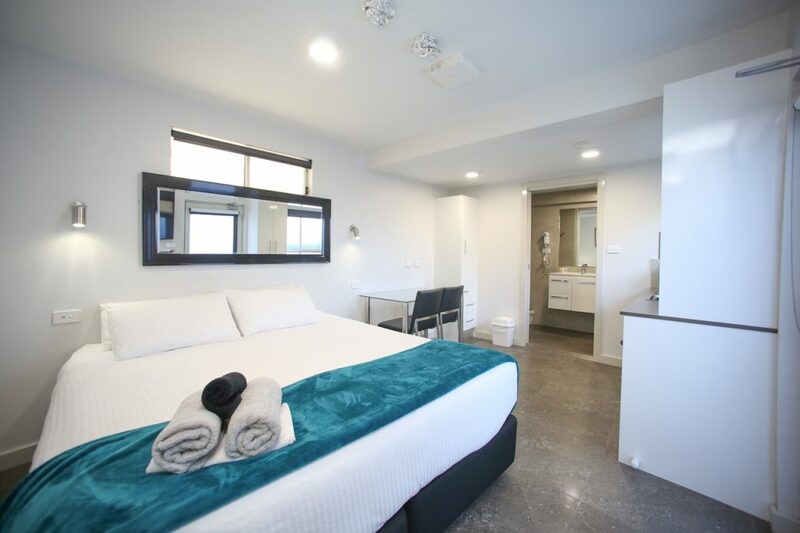 We aim to cater to a variety of our guests requirements and have rooms specifically designed with disabled accessibility and pet-friendly rooms for those travelling with their family pet. All our apartments are equipped with modern kitchen and bathroom facilities and we have a commercial quality laundry onsite. We make every possible effort to ensure our guests have a relaxing and comfortable experience when staying with us at Jesmond Executive Villas. Free Wi-Fi, Foxtel, an outdoor pool and spa are some of the many facilities available to our guests. 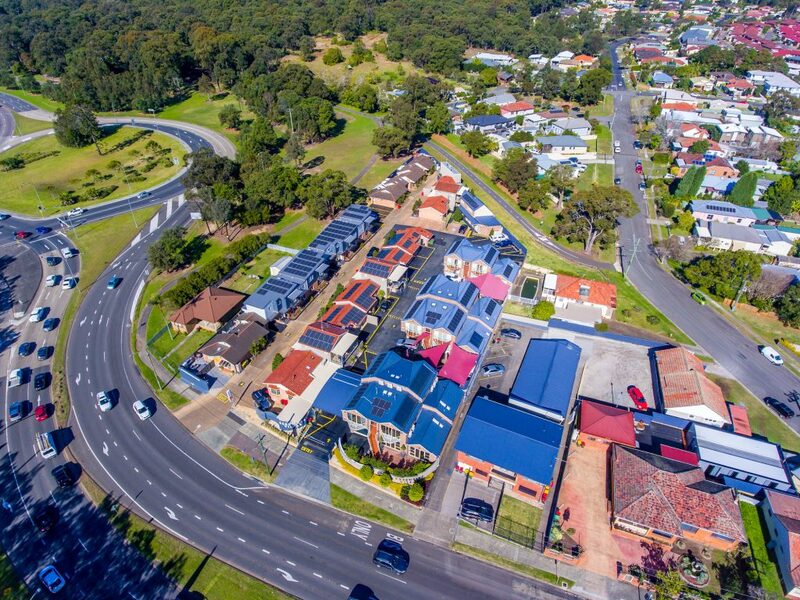 We are located alongside open parklands with walking trails, picnic areas and playgrounds. Newcastle CBD is a short drive and there is public transport nearby. There are supermarkets and a wide variety of shops and cafés within easy walking distance. Effective 1st July 2018, we will be going cashless for all reservations. We will still accept the following payment methods: Credit card, EFT or bank transfer. Just NO CASH. This will provide more security for you and our staff. We appreciate your patronage. We have a variety of one bedroom apartments available to suit business and leisure travellers. Sleeps up to 3 people, featuring a king bed or split king singles plus sofa bed. Enjoy a spa bath and full size kitchen. Sleeps 2 people on a king bed or split king singles. Spacious living room and kitchen with full size fridge and lounge. Sleeps 2 people on a queen size bed. Convert the space into a loungeroom by lifting up the bed to relax on the lounge. Sleeps up to 3 people, featuring a king bed or split king singles plus sofa bed. Modern bathroom and kitchenette. One bedroom accommodation that is specially designed to suit specific guest requirements. Affordable accommodation with tiled floors in every room so that you can stay with your family pet, staying clean and comfortable. To accommodate families or groups of more than three people we have multi-room apartments. Sleeps up to 5 people with two separate bedrooms and a sofa bed. Featuring a spacious living room and a modern full size kitchen. Sleeps up to 5 people with two separate bedrooms and a sofa bed. Relax in the spa bath and enjoy staying in luxury. Sleeps up to 7 people. Great for big families or groups on holiday. Featuring a full size modern kitchen and living room. There are multiple kids playgrounds featuring an assortment of climbing, balancing and obstacle equipment to challenge and entertain children of all ages. With hundreds of shade trees, walking and bike paths, make a day of it and enjoy the serenity of nature with a picnic. Play ball games, explore the gardens and luscious green landscapes; you will easily entertain a family for hours. Jesmond Park is popular with families and has bush walking paths, beautiful rose gardens, a basketball court and cricket field. It’s a short walk to Stockland Jesmond for lunch, cool drinks and ice-cream afterward.